The Birthday Boys :: Show Information :: RabbitTV GO! "The Birthday Boys" is a scripted original sketch comedy, executive produced by Bob Odenkirk ("Breaking Bad", "Mr. Show") and Ben Stiller ("The Secret Life of Walter Mitty", "Zoolander"). 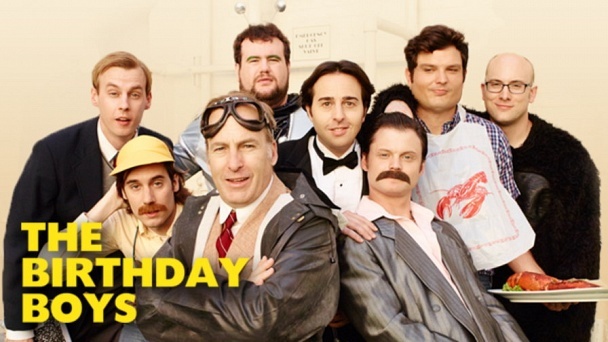 The series features the Los Angeles comedy group of the same name (UCB Theatre Los Angeles, Just for Laughs Festival) along with Odenkirk and is in the classic vein of absurd/silly/smart/funny variety shows ("Mr. Show", Monty Python), featuring sketches that twist real-life moments and cultural touchstones.